Cushion collections from Tropitone are an example of the best that casual furniture has to offer. With the highest quality frames and cushions, and the ultimate in comfort, how could it get any better? 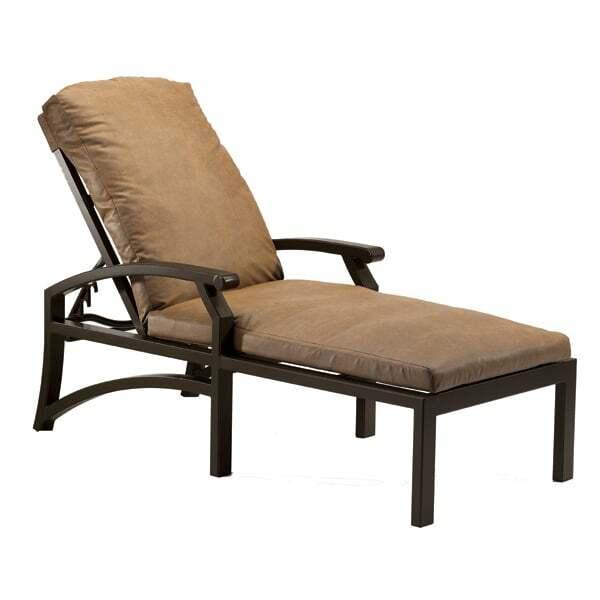 The Mondovi Chaise Lounge features a broad sweeping frame with clean lines and ultra plush outdoor cushions. This would be a great addition to any upscale outdoor living area or poolside deck or patio. Choose your fabric and finish and you are ready to go. What are you waiting for?